Your Local Handyman Skerries and Fingal for All Your Home Improvement and Property Maintenance Services. Here at your Local Handyman Skerries we understand how difficult it is to find good home help. We are a team of specialists in carpentry, plumbing, electrical, and garden maintenance across Skerries. All jobs undertaken no matter how big or small. We know it can be difficult to find somebody to do the plumbing of that new dishwasher. That’s Why We Have The Staff That Are Ready To Help You Now. Looking to get that garden into shape for spring you can count on us to do the job. How about that new kitchen that you got installed but you would like to have a new kitchen door. You can count on your Local Handyman. We understand that the little jobs can get overlooked. We understand about all the those small jobs which are often overlooked during the winter months. They build up into a to do list that can get very long. Let us help you in getting through all those niggly jobs. Garage needs cleaning. Kitchen could do with a fresh coat of paint, Bedrooms might need a facelift, give us a ring and lets go through that checklist and organise with you what has to be done. 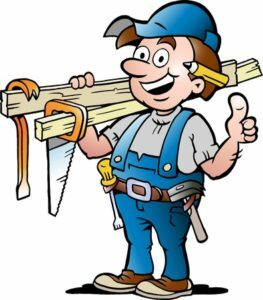 We have the tools for all handyman jobs and handyman services. We Are With You Every step Of The Journey! All our Tradesmen Must Meet Our Targets! We Stand Behind Every Service! We Do Our Homework So You Don't Have To Worry! All Our Tradesmen Are Professionals In Their Respective Trades! We Only Use Professionals Who Have A Strong Track Record In Service And Reliability! Our Tradesmen Are Up front With Their Pricing! We Pick The Best Tradesmen For You! We Go The Extra Yard! We can organise daily rates so you can get a list of things to do around the house and we can get them done all in one day saving you time and money. Our Job Is To Save You Time & Money! Your Local Handyman is ready to tackle all those jobs around the house that need to be done now! Just Call Your Local Handyman and We’ll Be There! The garden is always a great place to start when getting your house into shape as this is the first people see when entering your house. The grass and the hedges are always area's that can get out of hand over a short period of time especially when the growing season is in full swing. Your local handyman can help you in all these area's so call us now and let's arrange a time to call. Whether you need a carpenter for that door, a plumber for that leaky sink, an electrician to fix that plug or just a general handyman to get your garden into shape. All of our staff have years of experience in their field. We also offer a service to get your Ikea Flat Packs unpacked and assembled as we know that they can be difficult experience for a lot of people. We Offer all types of services so don't hesitate to ring us and ask for our help. The Advantages Of Using A Local Handyman For Home Improvement And Property Maintenance. A good rule to focus on which can be difficult in this day and age with all the commotion around us but your local handyman is tried and tested in his work. We Understand The Method Of One Job At A Time. Put simply...we pack it, move it & make it - letting you enjoy your brand new furniture in style! We Look After All Your Heavy Lifting. It's our attention to detail and careful workmanship which has gained us such a great reputation. Our solutions are geared to your unique needs, with effective, timely, professional service. We specialise in repairs and maintenance that will keep your home running smoothly.